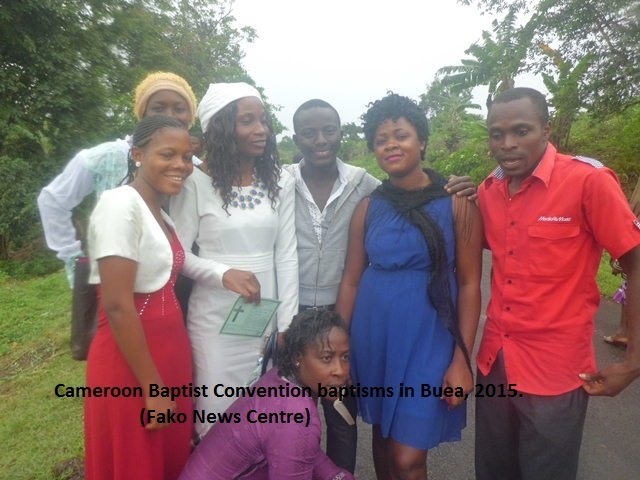 The congregation of charity Baptist Church, Bova has 10 new Christians. 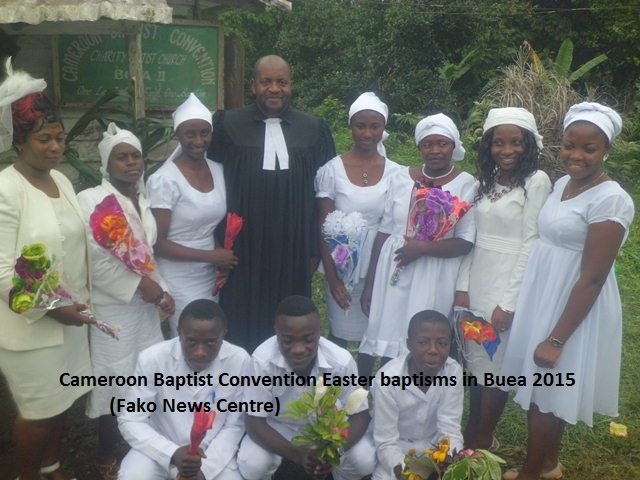 The new Christians were baptised on Easter Sunday that took place on April 5th, 2015, at the Koke (Kokeh) stream in Bokwai village, Buea. Before being baptised, these new concerts had undergone doctrinal classes for over four months where they were drilled on the scriptures. Whilst presenting the new Christians to the entire congregation back in Bova, the church’s spiritual guardian, Rev. Dr. Samuel Ndeley, called on the congregation to welcome and encourage them. He reminded them that the Christian race is full of challenges but it is by encouraging one another that they can make heaven. Rev. Dr. Ndeley then preached a message from the Holy Bible explaining the significance of the death and resurrection of Jesus Christ. According to him, Christians would have had no hope if Jesus did no resurrect. After joining the entire Christian body commune in Holy Communion and in a common meal in the church, the new Christians where accompanied by the church to their various homes where the celebration continued. 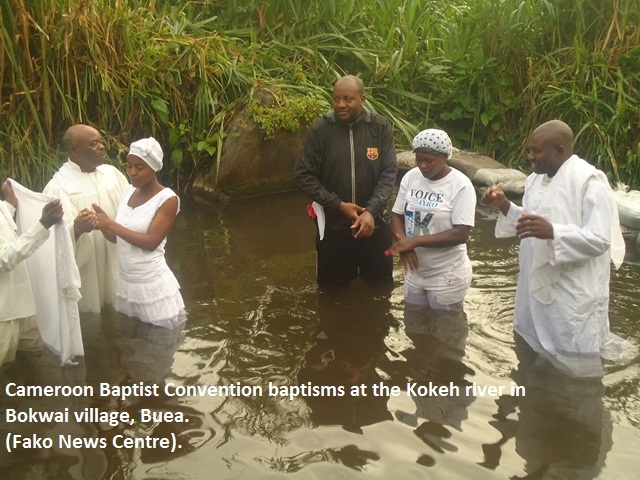 Many other churches took the newly converted for baptising to the Koke stream on Easter Sunday. Fresh Christians of Baptist Church Bonakanda were also baptised simultaneously with those of Bova. Their spiritual Leader, Rev. Pastor Genty Eyole Ndeley, asked the congregation to follow up their new members in prayers.